These tires were part of a dam, to prevent the salt water to enter the rice fields. Nowadays, there is lack of maintenance, so the dam is falling apart and tires are being carried by the tide. 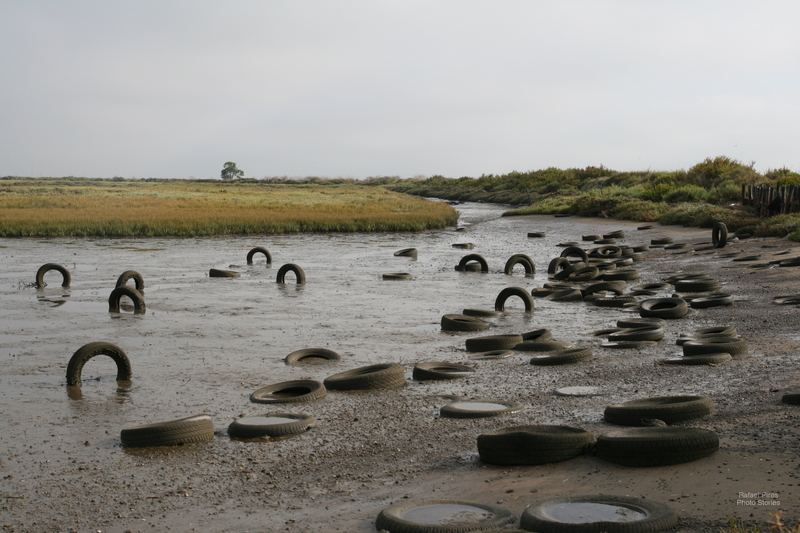 Instead of protecting the rice fields, tires are now a threat to aquatic animals and general nature.